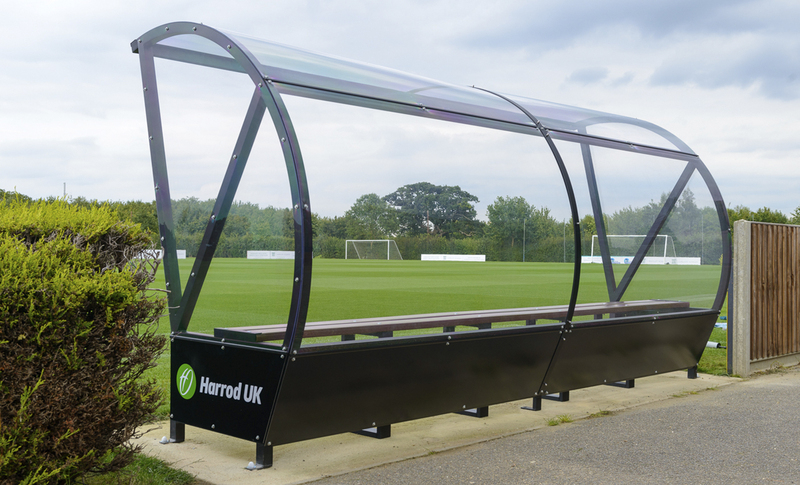 Our Brand New Aluminium team shelters are spacious and affordable, with curved sideframes designed to improve players' views of the pitch. Designed and manufactured in one piece from advanced materials. Extremely strong, durable and impact resistant to hockey balls & footballs. 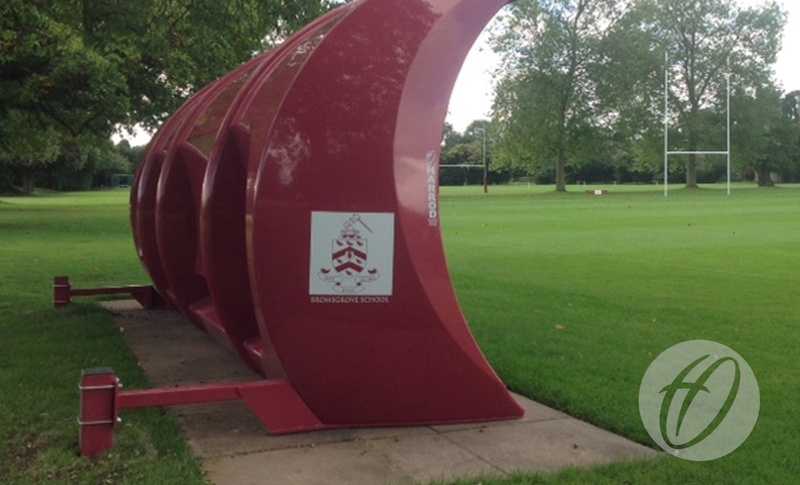 The bespoke shelter comes in club colours & complete with team branding. The Fibretech 'PRO' Shelter is the newest addition to the Fibretech team shelter range. 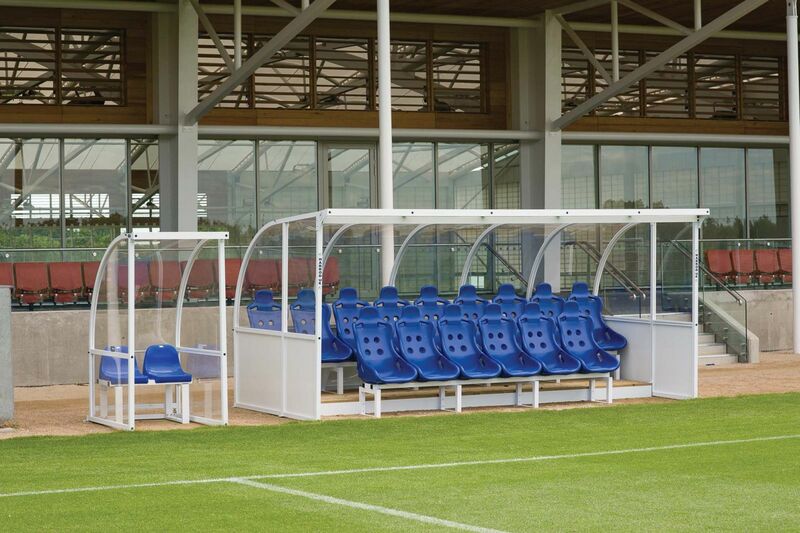 The Premier Curved Team Shelter is available in 8, 10 and 12 seat versions. All shelters are 2.05 metres high allowing full standing access, with a total external depth of 1.57 metres and an internal depth of 1.3 metres. Shelters are available as floor fixed or socketed options with a choice of red, blue or black seats. Specification as premier curved team shelter but with 4 extended legs and sockets. Specification as per aluminium team shelter, but with 4 extended legs and sockets. Please note: All team shelters are self assembly. Team Shelters must be anchored correctly at all times. The socketed option must have ground sockets concreted in as per instructions and freestanding versions should be fixed using suitable anchors such as spirafix. Please contact the sales office for further details. 1.9m high front x 1.72m high rear x 0.9m deep. 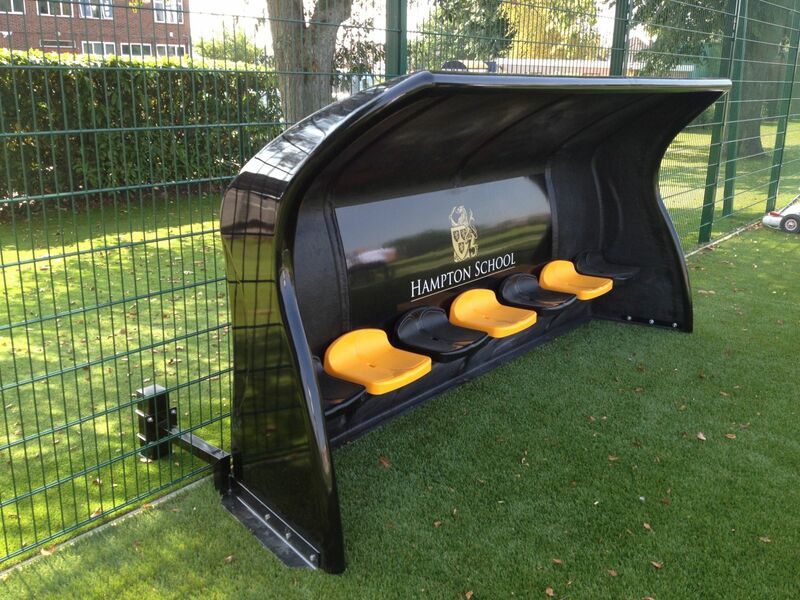 Specification as per Premier Curved Team Shelters, except all 1m wide. Complete with two 460mm deep sockets, 100mm sq galvanised steel support posts and anchorage arms to secure one shelter of any length.